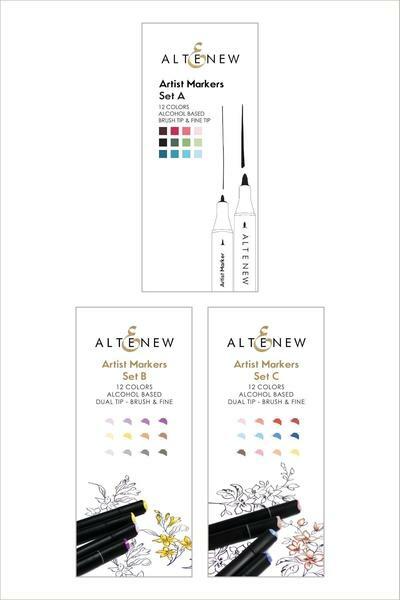 Altenew Creative Coloring With Artist Markers class. 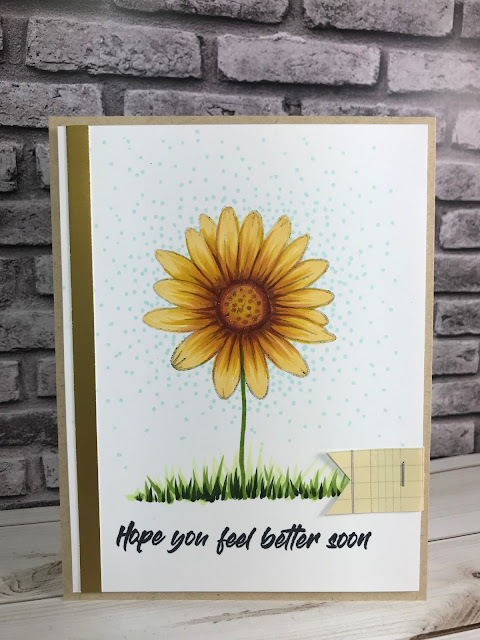 I did try to duplicate my cards with the samples that Mindy Baxter offered during class. The first lesson was to practice no-line coloring. I inked my image with black Memento Ink and then stamped it off twice on scrap paper before coloring. This creates a very light gray image. After coloring the flower I took my marker and free-handed a stem and then practiced small flicking motions to add the grass. The fun dots were added around the flower for a great detail. 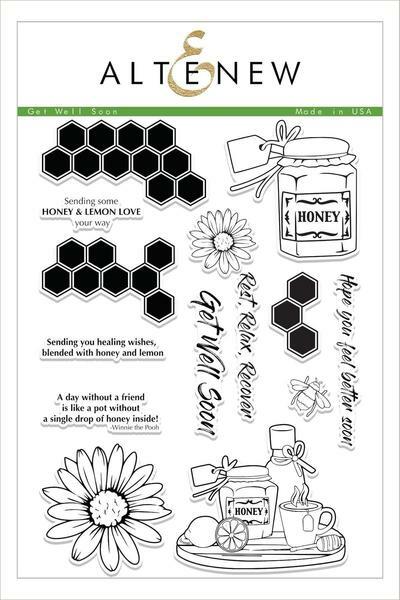 I used Altenew Get Well Soon Stamp Set.